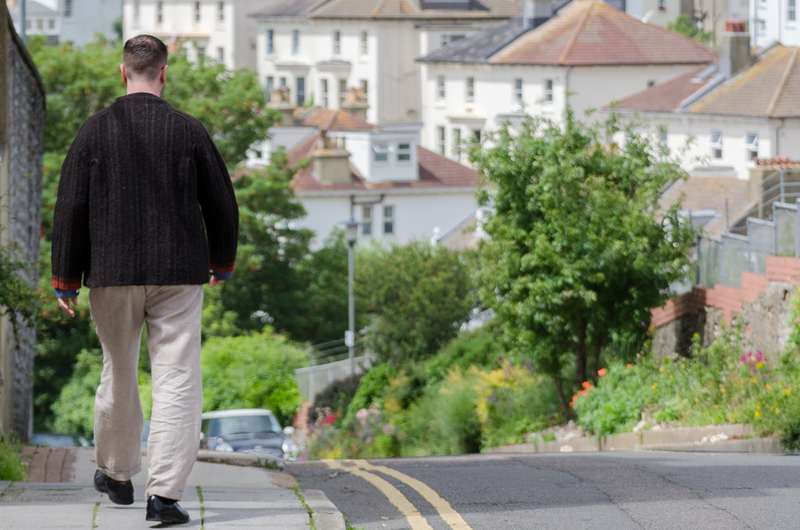 Between Christmas and New Year, I always reflect on the year gone by, and the year ahead. 2016 has been a really good year for me personally, and I have plenty of exciting things to look forward to in 2017. Looking back at 2016, I noticed some themes running through the last year: conversing, making, and collaborating. 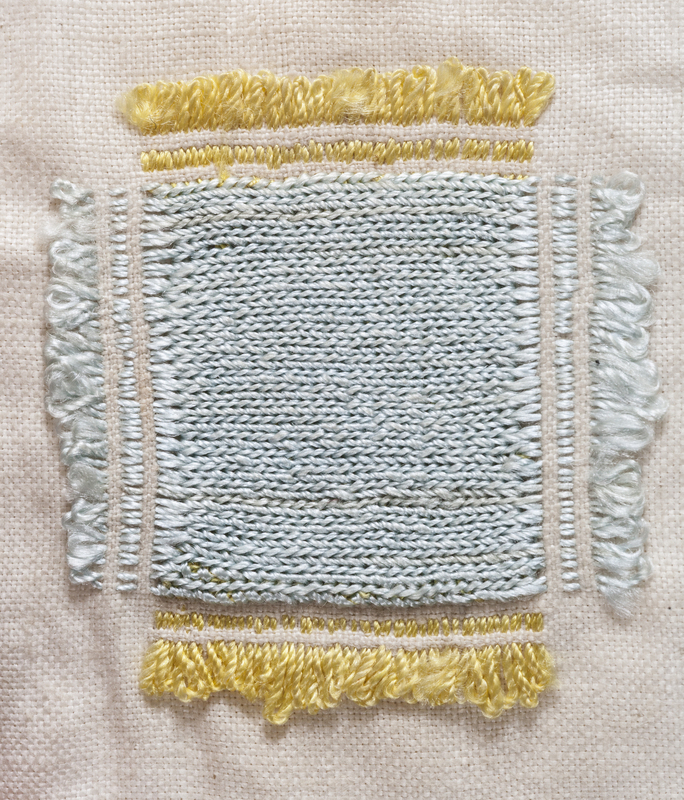 Conversing: throughout the year I’ve been given opportunities to talk about my practice, sharing my ideas and views on the importance of mending. 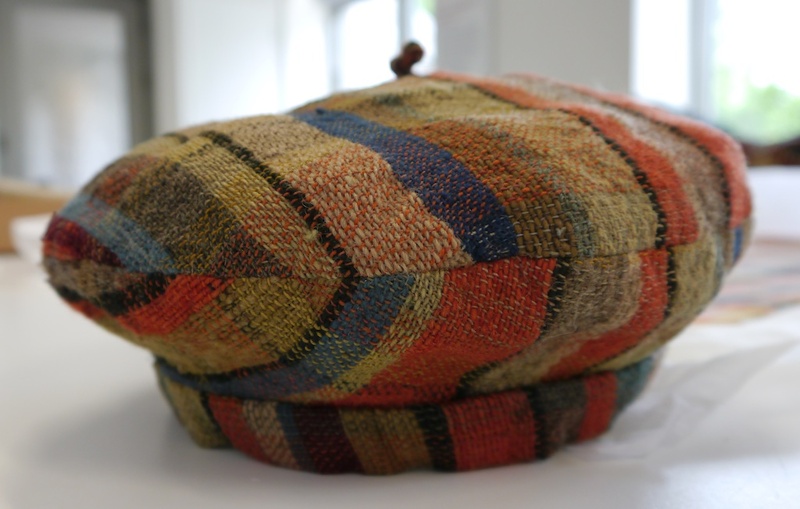 I was honoured to have been asked to give the keynote speech at Cultures of Repair: Past and Present, a one-day conference to conclude A Remedy for Rents, an exhibition of darning samplers from the Whitelands College Collection. A completely different setting again: in September I was invited by The New Craftsmen and Burberry to take part in Makers House, as part of Burberry’s September Collection presentation. 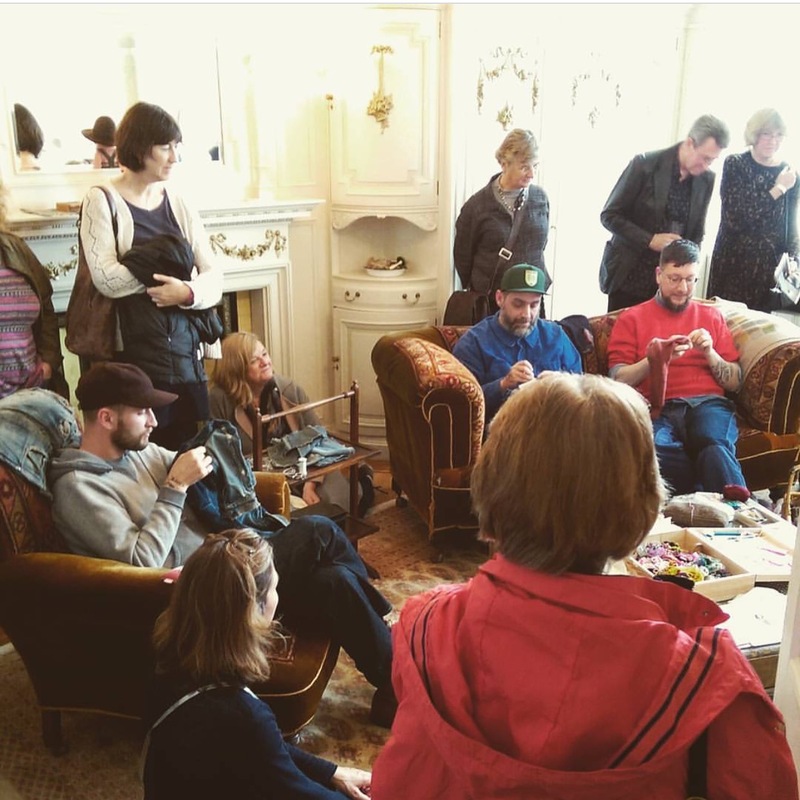 The September collection was in part inspired by craft and making, and Makers House celebrated this by inviting a number of makers to show and share their skills to the public in an enchanting pop-up venue. Making: apart from talking about my visible mending work, I’ve also been making things. Some of it knitting, some of it mending, and some of it inbetween. Although strictly speaking I knitted the Hexa Hap in 2015, the pattern for it was written and published in Kate Davies’s Book of Haps in 2016. I thoroughly enjoyed working on my contribution to this book, as it gave me a good insight in professional pattern writing and publishing. I remain inspired by Cecelia Campochiaro’s Sequence Kniting, and I made two jumpers using stitch patterns from this book. The first one was the Sequence Sweater for my then husband-to-be. The second one the Boxpleat Jumper for myself. There will be more where that came from, but I will not be able to share this with you until some time next year! 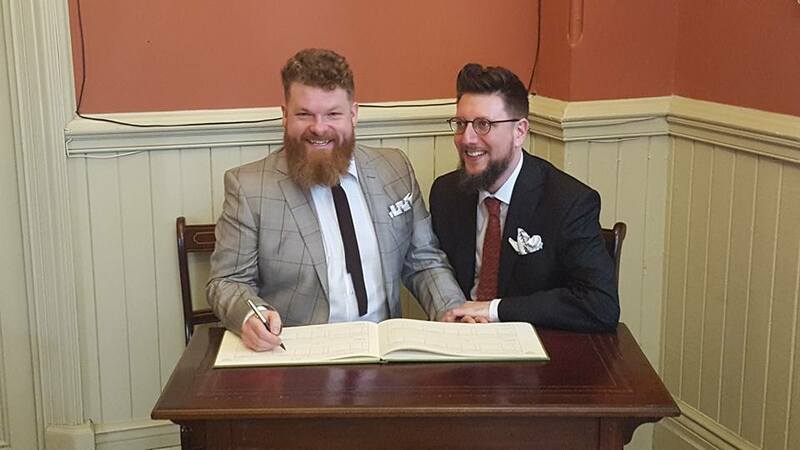 When I got married in November, I was keen for us to wear something I had made myself. My sewing skills as they are, would not allow me to make a suit, so I made things that were within my skills: matching pocket squares for both of us, and a tie for me. The pocket squares were made from a very light linen fabric, which I finished with hand-rolled edges, and embellished with stripes in feather stitch, using silk. I also knitted myself a tie, using a custom-dyed skein of British Stein Fine Wool by The Little Grey Sheep, and lined it with some vintage Italian silk. Collaborating: something I haven’t spoken about much as yet, but which, I’m sure, will be a very fruitful collaboration, is that I have recently joined The New Craftsmen makers. They work with a selection of Britain’s finest craft makers to showcase the skills and craft products of the British Isles. The New Craftsmen present objects that are deeply connected to culture and place, while representing a vision of sustainable, real luxury, expressed through dedication to makers, materials, method and design. So far I’ve made a small collection of repaired vintage blankets, patched French linen tea towels, and Sanuqhar pencil cases (note: not all my products are in the webshop at the moment.) As mentioned before, when The New Craftsmen were asked by Burberry to celebrate the craftsmanship that inspired their SS17 collection, I was invited along to repair items of clothing brought in by visitors to Makers House, using fabrics from the new collection. We are already chatting about a new project, which I will share in due time. This brings me neatly to what I’m looking forward to in 2017. Not only will I be working more with and for The New Craftsmen, I also have some other projects under wraps. Frustratingly, I cannot talk about any of those right now. Patience is a virtue! Meanwhile, I what I can talk about is my personal projects, and I’m keen to share progress about these here on my blog. 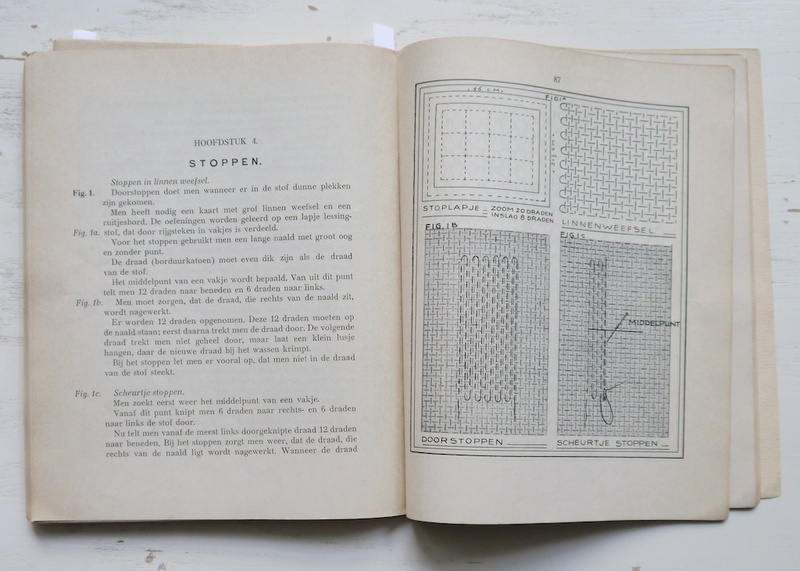 First and foremost, I’ve bought some scrim (a loosely woven coarse linen fabric, nowadays really only used for cleaning windows) to start working my way through some old Dutch lesson plans for needlework, and in particular repairing and darning. Going back to basics will ground my understanding of techniques, and it’s also a good time to start getting to grips with using a tailor’s thimble. I’ve received many comments on my thimbles blog post, both here, on my Facebook page, and on Instagram about how others got on with thimbles, and alternatives to the traditional metal thimble. It would seem that many people dislike the traditional thimble, and have sought alternatives that suited them better; particularly the leather thimble got mentioned frequently. For now, however, I will persevere with the tailor’s thimble. Yes, it will take time to unlearn my old sewing technique, but I’m attracted to the speed that tailors can stitch very neatly, using methods that have stood the test of time, and which will also be a way of learning more about hand-stitching and tailoring. I doubt I will ever become as good as a tailor on Savile Row, but I can learn from them and apply those things that will take my textile practice to the next level. 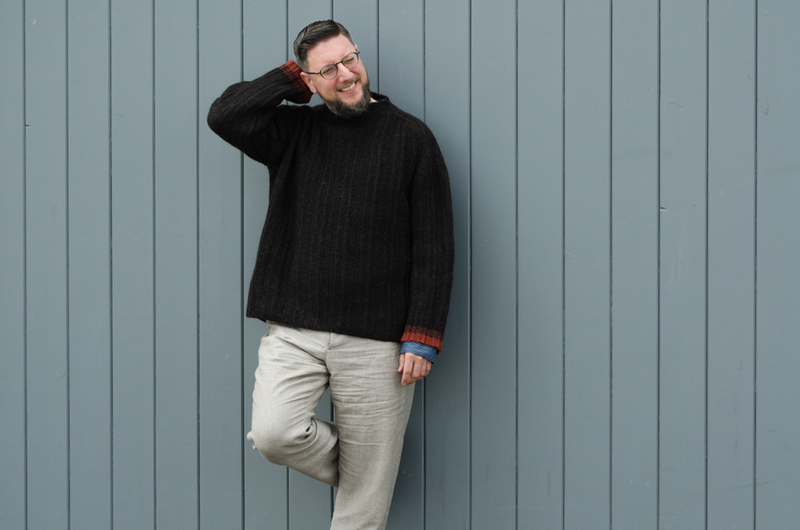 I’m looking forward to sharing my projects and thoughts on my blog, and I hope you will feel inspired to try out new things, start stitching, knitting, or visibly mending your own clothes. In my last blog post I spoke about my intention to learn how to use a thimble. I have mentioned before that I enjoy hand-finishing my sewing projects, such as hand-worked buttonholes, inserting a lining, and even whip stitching seams to stop the edges from ravelling. This is in part because I use an old Singer 201k treadle sewing machine that can only do straight stitches, but it is also because I enjoy the act of hand-stitching. Sewing is much quicker than knitting, and many sewers that I know are amazed about the amount of hand-stitching I do, because “it takes forever!” However, compared to knitting, all this hand-stitching is done in a jiffy! Slowly but surely working my way towards having only hand-made clothes, leading to more hand-stitching, has increased my interest in tailoring, and the accompagnying hand-stitching. And even if I might never become an expert in tailoring, I can take away those bits that will work for me. So far, I’ve not used a thimble, but the drawback is that my fingertips are shredded to bits by the sewing needle, so it’s time to learn from tailors, and use a thimble. Thimbles come in many shapes, forms, and materials. 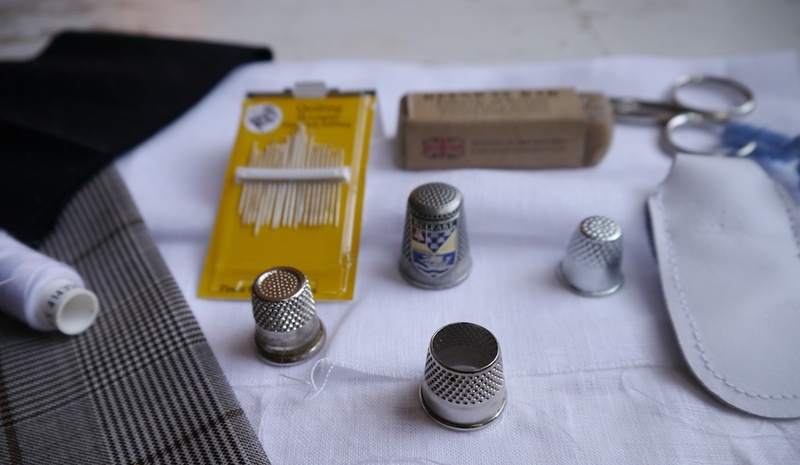 The traditional tailor’s thimble is made from metal, and has an open top. Dressmakers’ thimbles normally have a closed top. I have not been able to find out why there is a difference, but I think it might have to do with the sewing technique used. The tailor’s thimble goes on your middle finger, the needle is held between thumb and forefinger, and put into the fabric. The needle is then pushed through the fabric with your thimble-covered nail. In order to do this comfortably, your middle finger is actually curled up, sitting right behind the needle. Have a look at these videos by an expert tailor. Keeping your middle finger bent is the most difficult thing when learning to use a thimble the tailor’s way, so an old apprentice trick is to put a tie on your thimble to keep your finger in the right position. 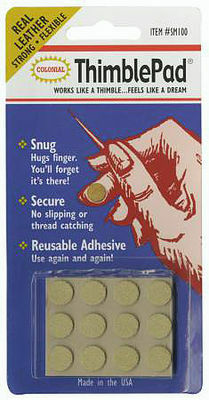 I’m keen to learn to use a tailor’s thimble, but there are many other thimbles to choose from, such as a leather thimble, shown in one of the pictures above, “thimble pads” which are small stickers to stick to your finger, and sashiko thimbles, which are shoved right down your middle finger. The metal plate at the bottom protects the palm, as traditional sashiko uses a long needle which is threaded through the fabric multiple times before pushing it through with your hand, which isn’t much different from a sailor’s or sailmaker’s sewing palm. 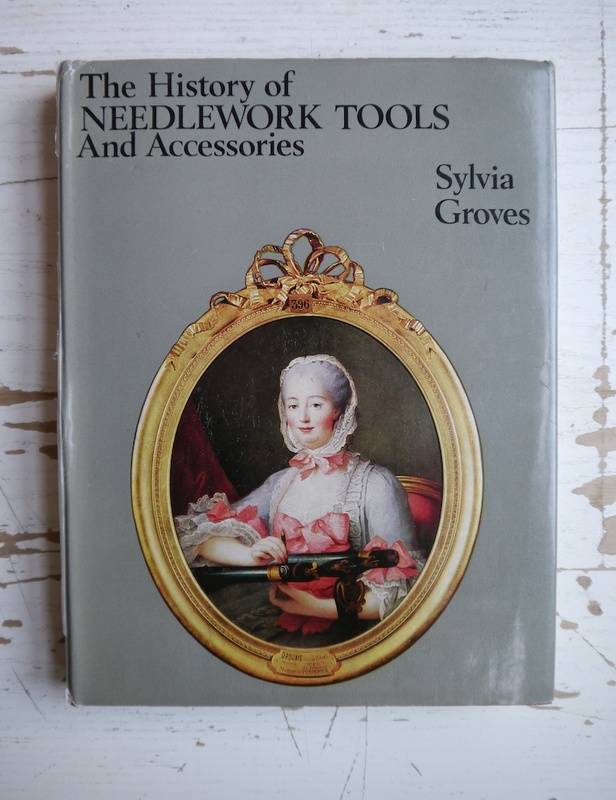 I will finish this blog post with some background information on thimbles, from Sylvia Groves’s The History of NEEDLEWORK TOOLS And Accessories (Country Life Books, The Hamlyn Publishing Group, Feltham, second impression 1968): the word thimble is derived from the Old English thymel, meaning a thumb stall. It was originally a small bell-shaped cap of leather, made to be worn on the thumb in sewing. She goes on to say that “Although this type of primitive protection continued in use in remote and isolated districts until quite recent times, the metal thimble displaced it in more civilised countries at a very early period.” With this being my only book in my library on needlework tools and accessories, what follows is from a very European-centric viewpoint, showing exactly which countries the author deemed civilised. Thimbles of bronze have been found on the sites of Greek and Roman cities, such as Pompeii and Herculaneum, which were destroyed in 79 CE. They can be divided into two two types: one heavy, cast, and with the indentations irregularly placed; the other finely made from sheet metal, with indentations more neatly arranged and occasionally having an open top. A cast bronze ring, about a quarter of an inch deep, with three rows of indentations arrachged diamond-wise, served a similar purpose. There are very few thimbles to found that can be confidently dated to befor the 16th century. Thimbles can be made from all sorts of metal, but in general, thimbles from the 17th and 18th century were often made of brass or steel, or sometimes a combination of the two. An open-topped steel thimble might be lined with brass. Alternatively, a silver thumble with a steel top might be obtained; the top stamped with indentations, was soldered on, and the silver might be engraved, or of open filligree. These thimbles were never intended to withstand the wear and tear of daylong sewing, but were reserved for fine needlework and social occasions. For children, nests of thimbles were made fitting one on top of another and increasing gradually in size, to allow for growth. In the early Victorian era, there arose a fashion of ornamenting the sides of thimbles with representations in relief of famous buildings, bridges, and other well-known landmarks; they were sold as souvenirs to tourists who were increasing in number owing to the developments in railway travelling. 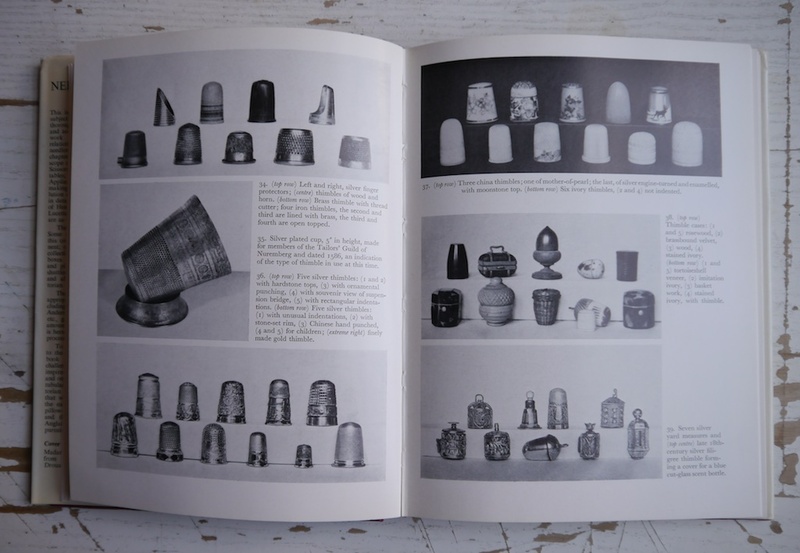 There are a very large number of antique thimbles to be found, made from all sorts of materials. Their shape provides little indication of their date: those made during the last three or four centuries may be either short and flat topped, or long, tapering and domed, according the the fashion at the time or the whim of the maker. Mother-of-pearl thimbles came from France; glass from Bohemia or Venice. Wooden thimbles came from Germany and Austria, where they were bought as souvenirs by tourists, but they are by no means common as wood is a soft material unsuitable for practical use in sewing. 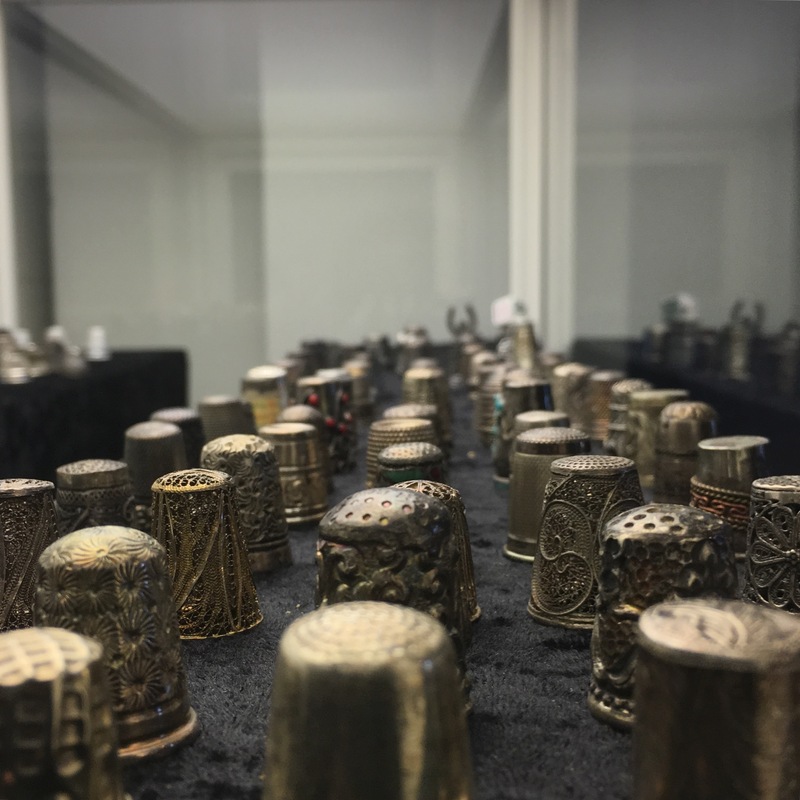 Complete thimbles without indentations, fashioned from horn, ivory or tortoiseshell, may occasionally be found; they are, in fact, finger guards and were worn on the first fingers of the left hand to protect it from the continual prick of the needle’s point. When these guards were made of metal, part of the top was cut away diagonally, leaving only the rim entire. Wish me luck in my thimble journey: I think it will take me a while to unlearn my old hand-sewing technique, and learn a new one, but I will persevere and report back, so keep an eye out for my next blog post! The last couple of months has been a very productive one. 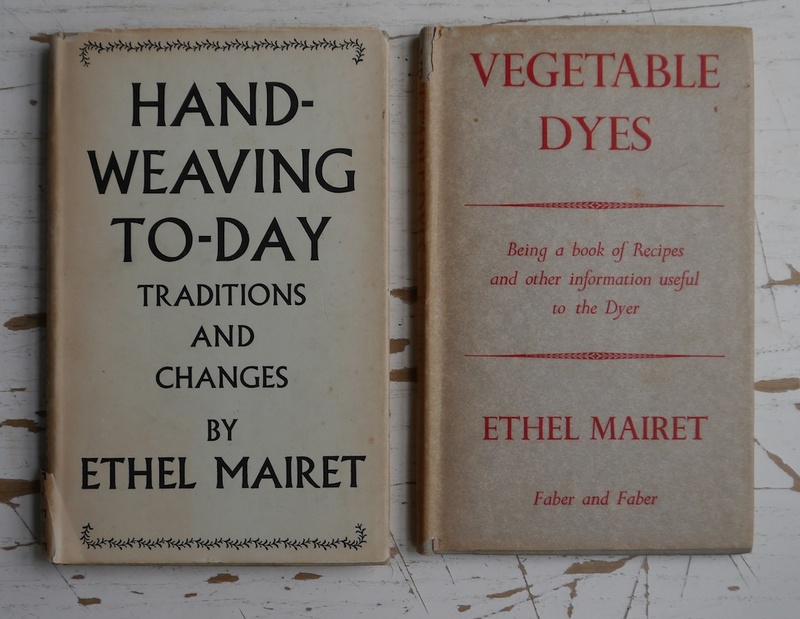 I can’t reveal everything just yet, but it did involve a lot of hand-stitching of fabrics, and re-reading some of my old books on mending and repairing, such as old Dutch lesson plans to teach girls the art of marking and darning. I have written about these books before, but I looked through them again when I was preparing for one of my workshops a little while ago at Hope & Elvis. In particular The Female Handicrafts contains a lot of detail, starting with the very basics. 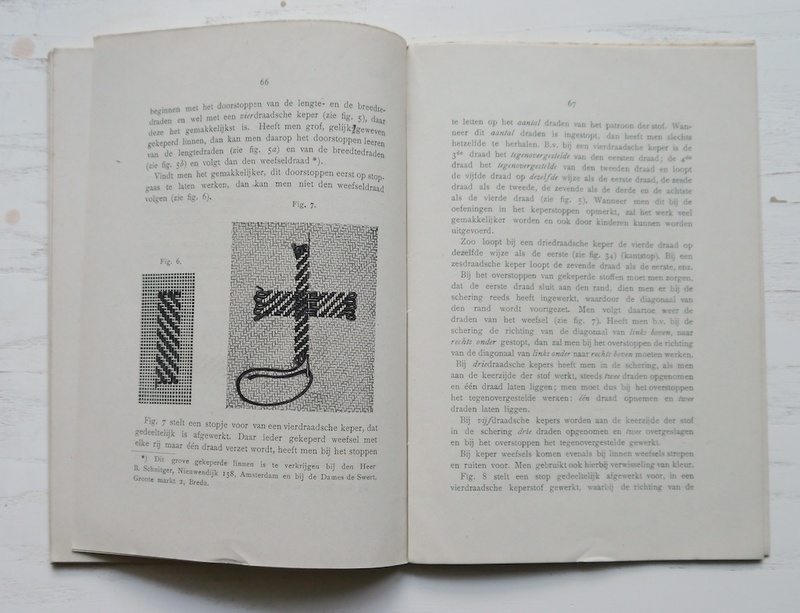 For instance, the first chapter on marking household linen, starts with the easy letters with lots of vertical elements, such as the letter “I”. It then moves on to those with strong diagonal lines, and finishes on those which have curves. 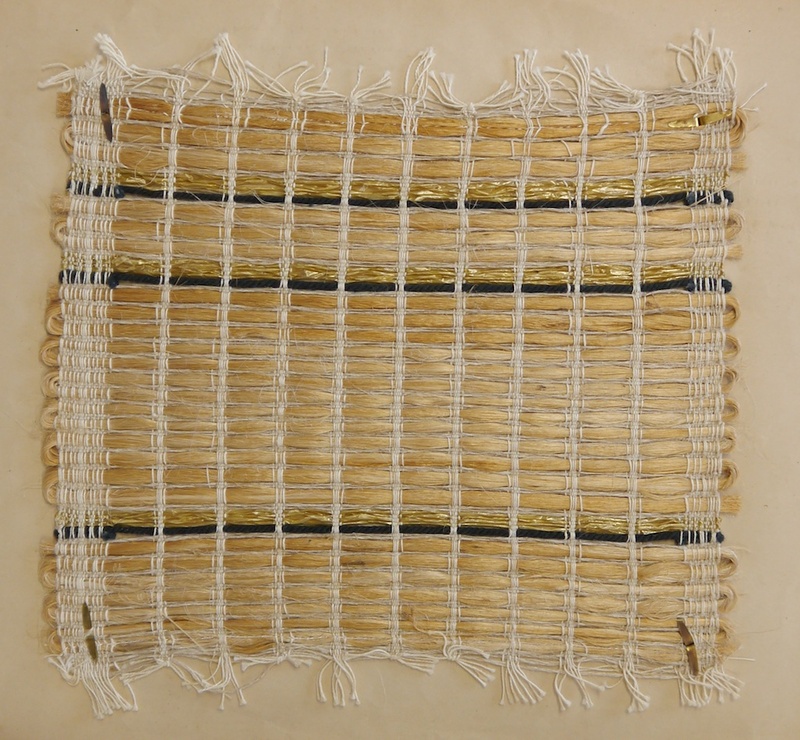 To learn this, it advocates starting with an open-weave plain fabric, such as scrim. Marking your household linen was important, as many people took their washing to the laundry house, and this way you could check whether nothing was missing and that you actually got your own things back. 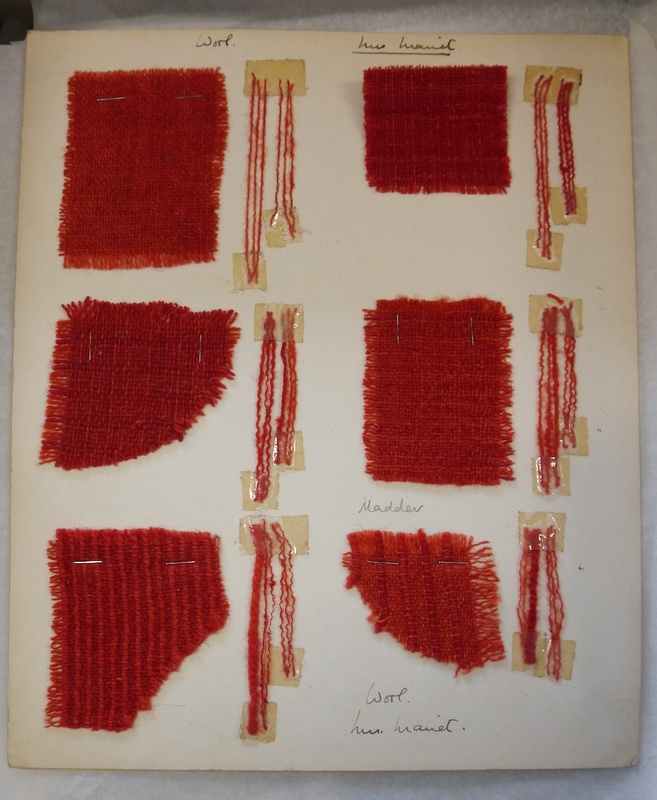 Likewise, Useful Needlework starts with the simple re-inforcing technique of weaving thread through the fabric, again using something like scrim to get a feel for the technique, before moving on to finer work. 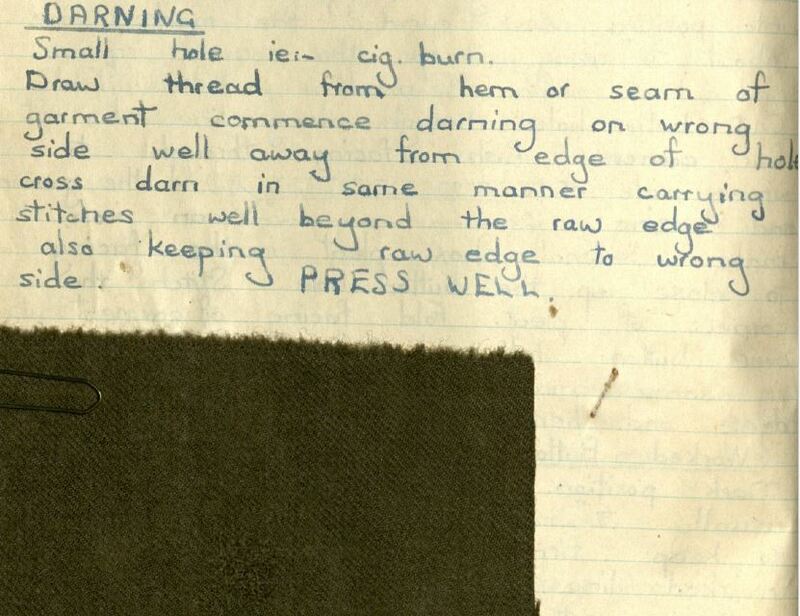 Needless to say, I’ve stocked up on scrim, and I have my darning threads at the ready! For the aforementioned workshop at Hope & Elvis I got everybody to make a sewing sampler, based on the samplers I’d seen at Goldsmiths earlier this year, as part of the A Remedy for Rents exhibition. 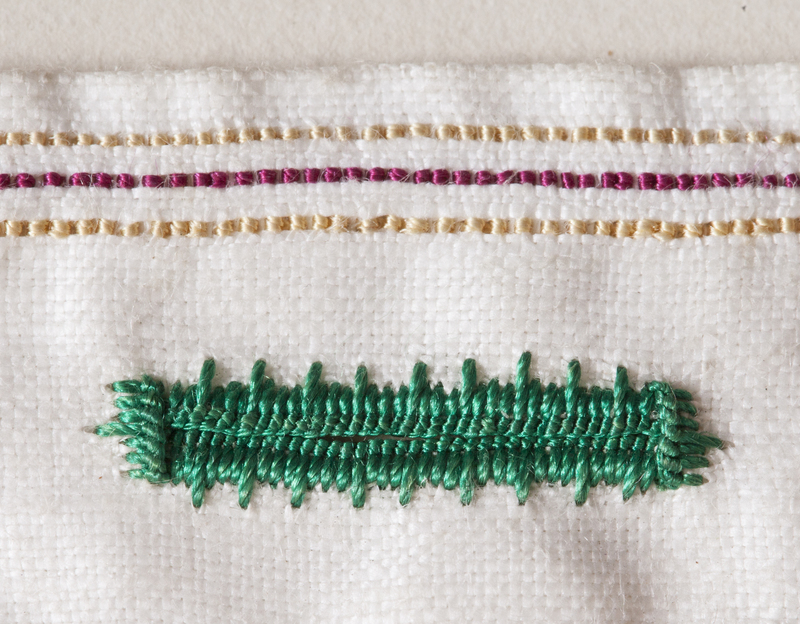 It was my first foray into teaching something sewing-based, and we all made a small sampler using old textiles. The edges were hemmed using four different hemming techniques, then we made three different types of patches. I had selected the different techniques based on practicality, still useful today. They included amongst others: slip stitch hem, herringbone hem, hemming stitch, napery hem stitch, calico or oversewn patch, tailored patch, and flannel patch. For those who wanted more, I also taught how to hand-work a buttonhole. I don’t believe hand-worked buttonholes are any better or stronger than machine-made ones, but I do think they look very nice. I’ve also spent a lot of time sewing patches onto sturdy linen tea towels (I will share this project in a couple of weeks) and it became apparent pretty soon that I will have to start using a thimble. I enjoy hand-sewing, and whenever I sew, I tend to do a lot of finishing by hand. 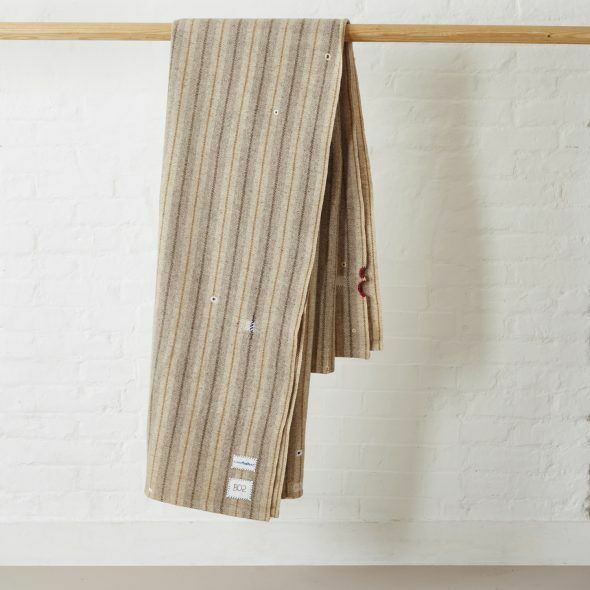 When sewing woollen trousers, this is quite easily done without a thimble, but it’s a different story with those tea towels. The needles I use are rather fine, so the eye of the needle is almost as sharp as the point! Teaching myself to use a thimble might take some practice and perseverance, but I’ve found an old tailor’s apprentice trick to get me started. All-in-all, this means I have a lesson plan of sorts for myself. 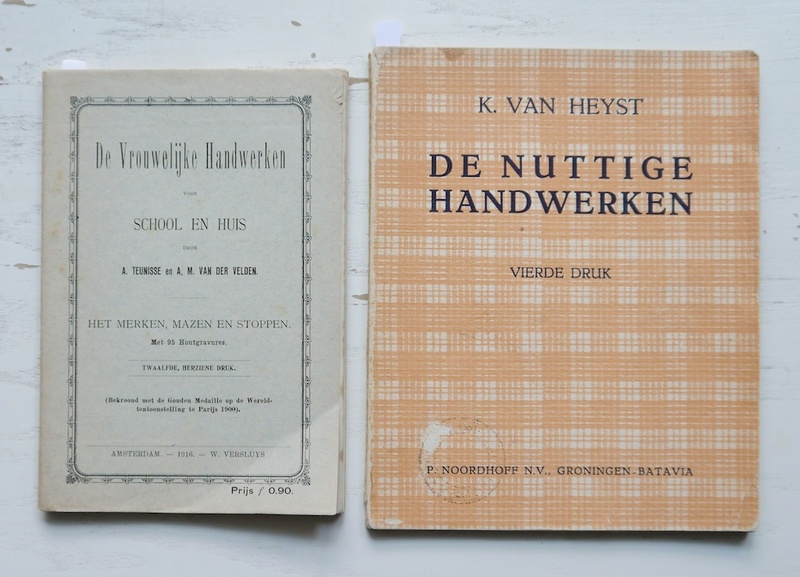 I’m going to take it all back to the beginning: teach myself how to use a thimble, and then start marking, darning, and patching according to my Dutch books. I hope that this will lead to new inspiration and new off-shoot projects. I will be sharing my pursuits here, and perhaps you’d like to join in! Therefore I will post not only completed work, but also a heads-up post with what I’m planning to concentrate on next. Keep an eye out for the first post in the next one or two weeks. 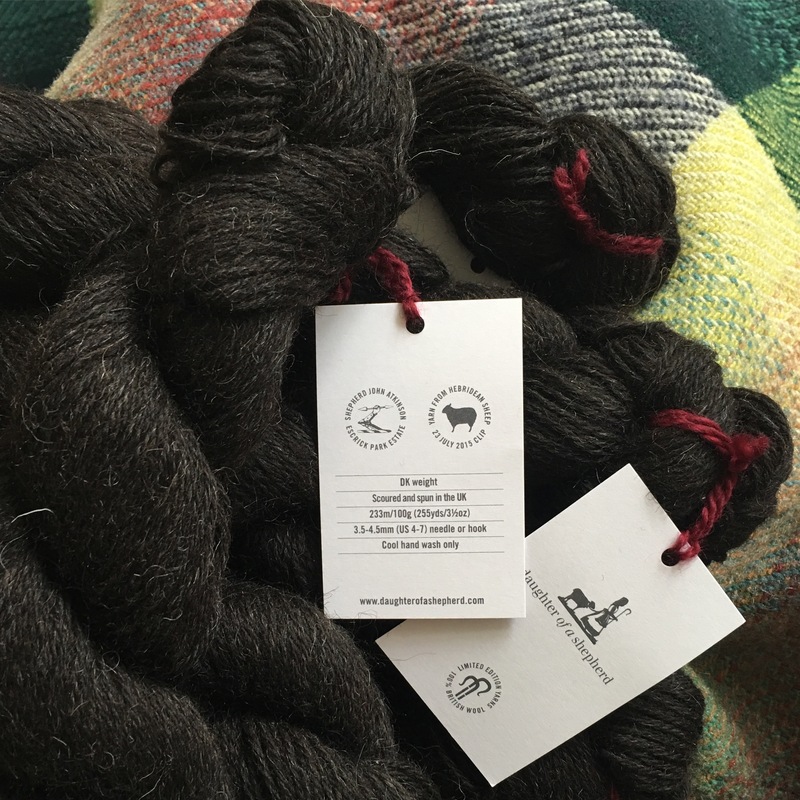 When Rachel Atkinson told me she was working on producing a yarn, using her dad’s flock of Hebridean sheep, I just knew it was going to be something really special. I love the deepest, darkest shade of chocolate brown you get from naturally black sheep, and Rachel’s yarn, aptly named Daughter of a Shepherd, really does the Hebridean sheep justice. Despite the colour, it shows up textured stitches really well, which was a good thing, because my love affair with Cecelia Campochiaro’s Sequence Knitting is still going strong. One type of fabric you can create with sequence knitting is a broken garter stitch (alternating columns of garter stitch from knit stitches, garter stitch from purl stitches,) which give a very strong vertical texture, enhanced by columns of slip stitches, a type of fabric Cecelia calls “boxpleats,” as it has a 3D quality to it. Waiting for the right project to come along, was some of Elizabeth Johnston‘s handspun Shetland yarn, which she made from grey Shetland wool, overdyed with madder. It wasn’t much, but enough to provide a pleasing accent of colour. 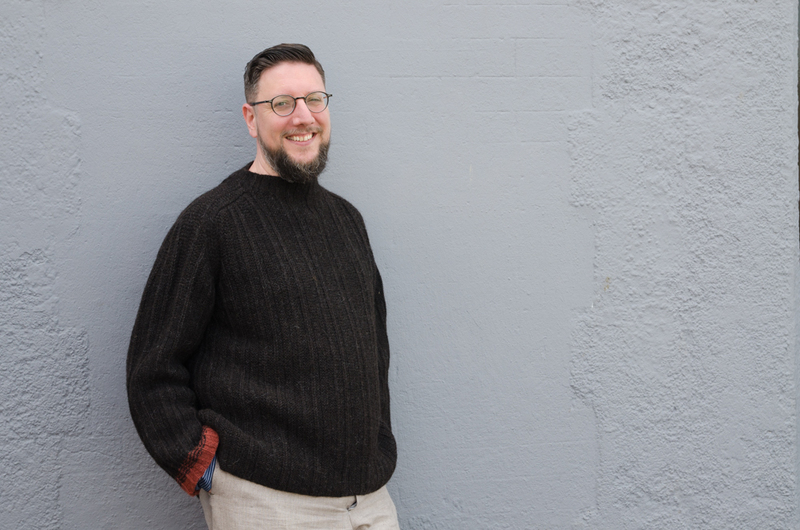 I took measurements from a French workwear smock, and after swatching, I cast on and mostly made design decisions as I went along. My good friend Jeni Reid has taken all the pictures following below, and I’m using them with kind permission and they are credited to Jeni Reid/Small Window. You may have spotted her at yarn festivals with a big camera in hand, and being a knitter and spinner herself, she manages to capture goings-on with a knitterly eye. The armholes are shaped using actual box pleats and I’ve gathered the sleeveheads, so there is volume along the arms to show off the boxpleat fabric, but keeps the shoulder saddles neat and tidy. 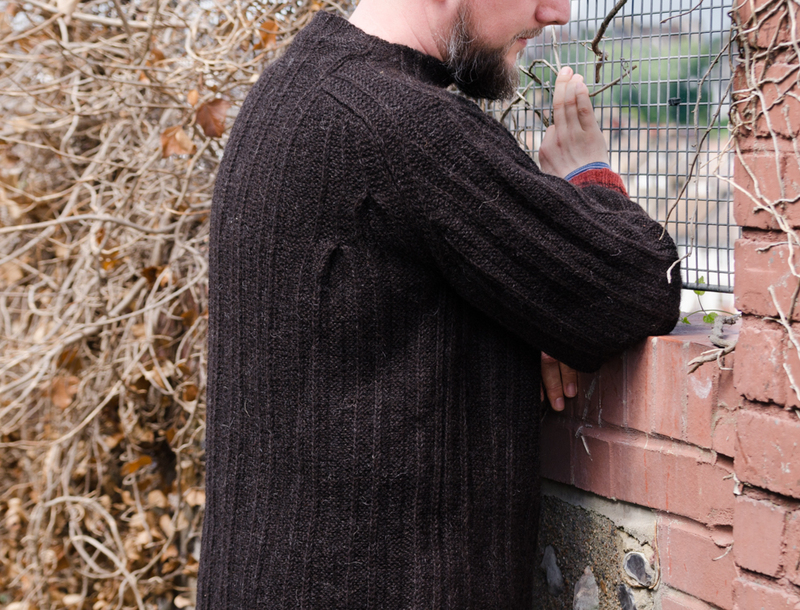 The boxpleat pattern is best knitted flat, so the jumper was knitted in pieces, and then seamed together using a three-needle bind-off. I’m a real fan of the three-needle bind-off for seaming. Sure, it takes a while to pick up stitches along each seam edge, but the resulting seam is strong, yet it retains some stretch quality, something that was really important here, as the jumper is very heavy, and therefore I anticipate it will grow longer in wear. Although knitted in pieces, the over-all shaping is more or less based on the classic Elizabeth Zimmermann seamless saddle shoulder pull-over. Last but not least, I used a lot of gradually differing needle sizes. The sleeves start at the cuffs in 2.5mm needles, and by the time I reached the sleevecap, the needle size had increased to 4.5mm. This created a gently shaped sleeve, allowing for the boxpleat pattern to do its pleating at its best. To stop the jumper from flaring at the hems, I knitted them on a slightly smaller needle to gently draw in the fabric. 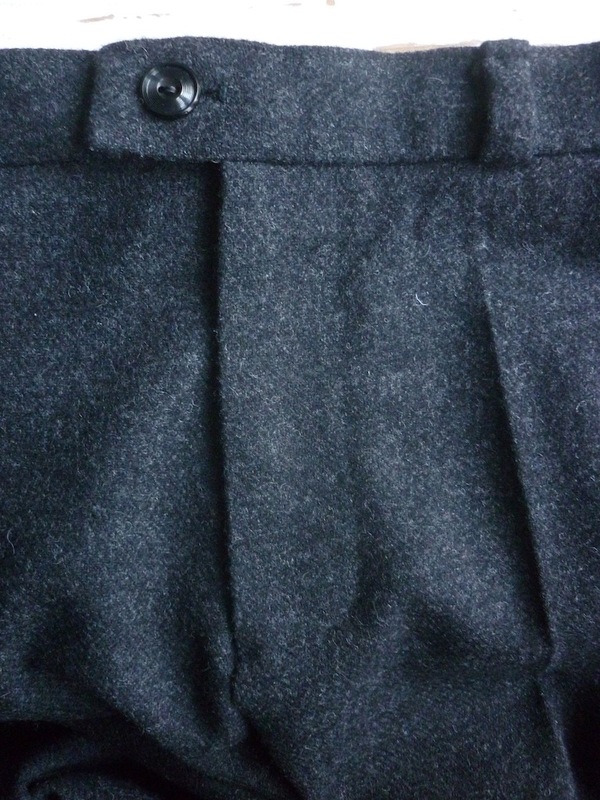 The neck is finished with a funnel neck, highlighting the non-curling quality of the boxpleat pattern. 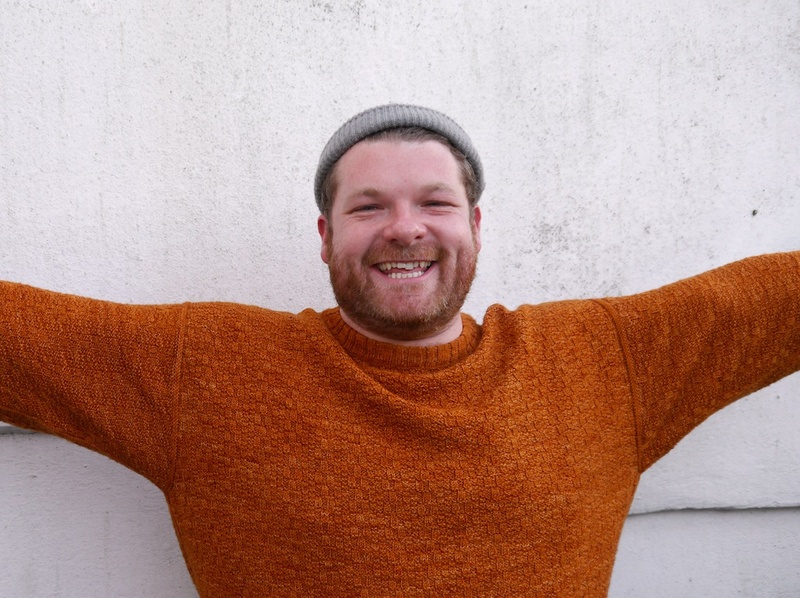 I thoroughly enjoyed designing and knitting this jumper, and as you can tell from the pictures, I finished it just in time to put it away for summer. 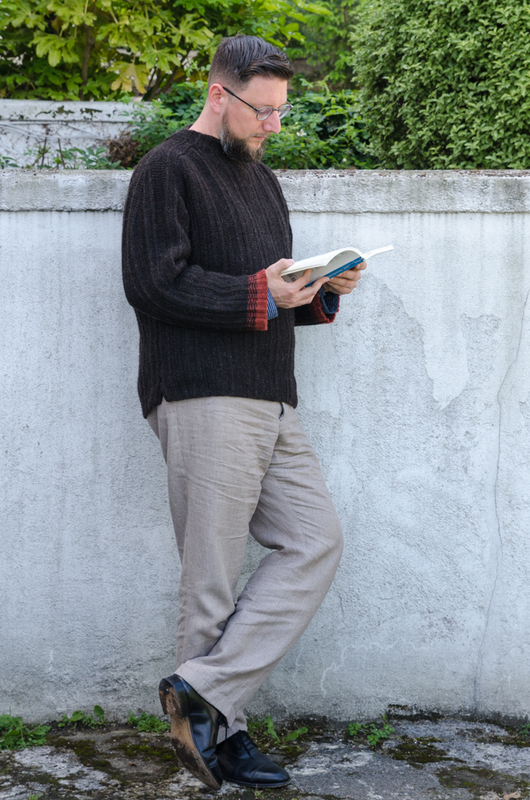 With special thanks to Rachel Atkinson for letting me buy a few more skeins for this special project, and to Jeni Reid for taking such beautiful pictures, as this jumper provided a photographic challenge, due to the colour. 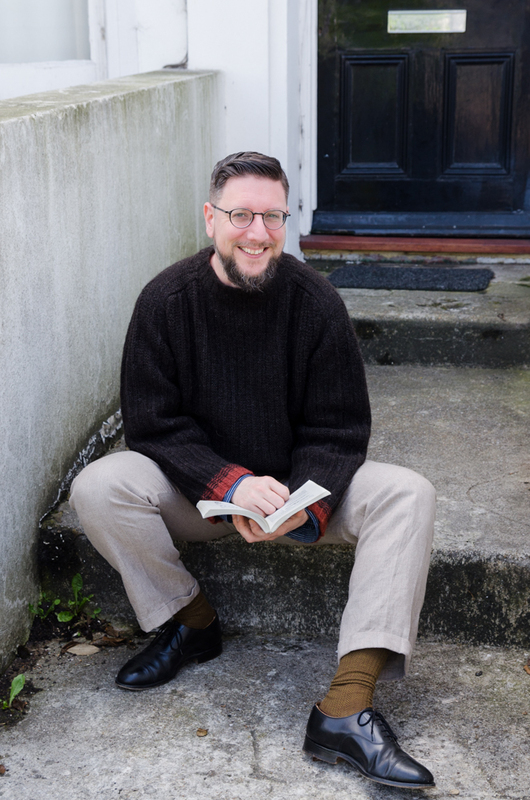 If a dear friend asks you to contribute to a new book, then it’s hard to say no. And if that new book is by Kate Davies, with contributions by some of the most exciting and innovative knitwear designers currently around, then you know it’s going to be an exciting publication! Kate’s new book is called The Book of Haps, and is now available to pre-order; shipping will start as soon as the books have returned from the printers, see details at the end of this post. 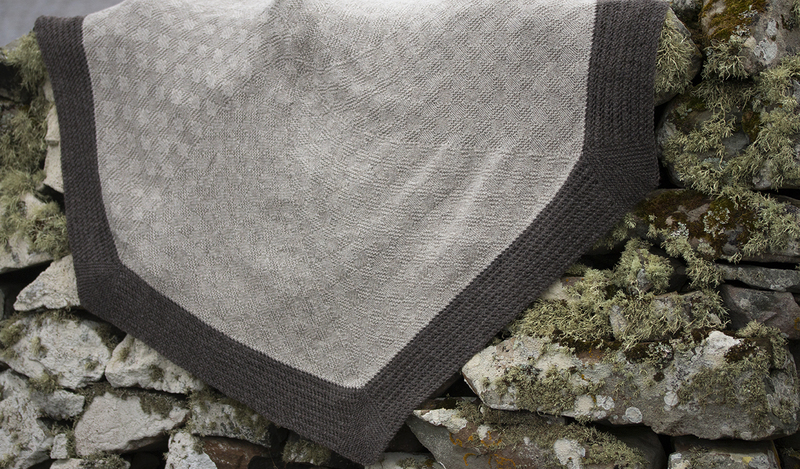 Kate’s new book is a collection of essays about haps, which were shawls knitted by Shetland women as everyday items, as opposed to the fancy lace wedding ring shawls that are perhaps better known today. In addition, Kate has asked twelve designers to come up with their own interpretation of a hap, including myself. Kate Davies: One of the many things I enjoy about your work is the way you use the deeply technical aspects of fabric creation or manipulation to produce really innovative designs. Can you tell us about how Cecelia Campochiaro’s Sequence Knitting inspired your Hexa Hap? 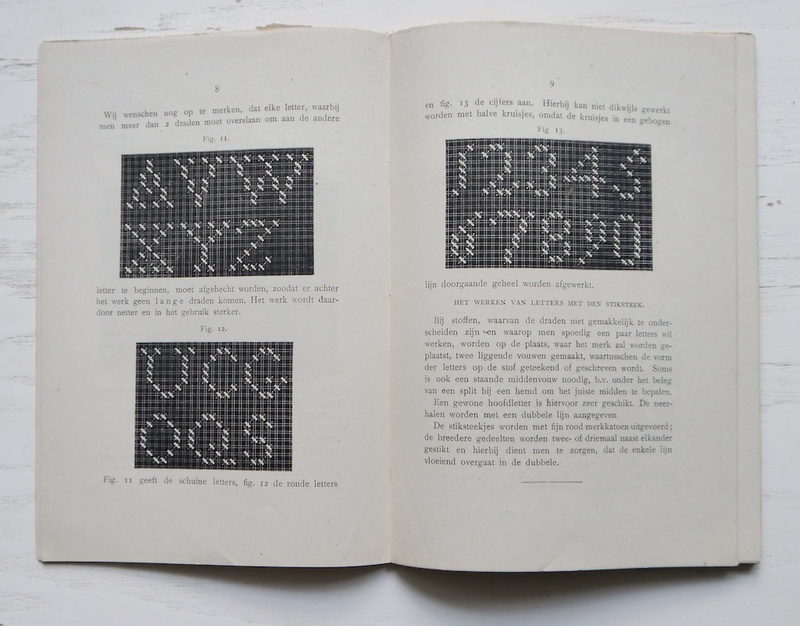 Tom: Campochiaro’s book on Sequence Knitting, which described very simple methods to create complex textured fabrics, is a ground-breaking work. The book is littered with many beautiful photographs: although every method is illustrated with swatches in grey yarn, sequence knitting lends itself well for using colour, as evidenced by many of the projects in the book. However, that’s not what I wanted to concentrate on with the Hexa Hap. What struck me is that all of the stitch patterns are reversible in some way: some are identical on both right side and wrong side, others are just aesthetically reversible (right side and wrong side are completely different, but both present a pleasing texture), some fall in between. I found this reversibility a very attractive quality for a shawl as you can wear it every which way; preserving this reversibility was the main driver for the techniques and patterns I’ve used. This goes for the lace edging (Campochiaro’s Sequence Knitting is knits and purls only) and the reversible intarsia twist technique I “unvented.” In addition, some of the sequence techniques involve decreasing at the end of every row, creating triangles, and this led me to brush off my books on modular knitting. . .
Kate: Can you tell us a little about the process of designing your Hexa Hap? Where did you begin? Did everything turn out the way that you expected, or were there any surprises? Tom: The idea for a modular shawl or blanket (originally without lace edging) came to me soon after seeing the triangular swatches inSequence Knitting. Not being a shawl wearer myself, and not in need of yet another blanket, I squirreled away the idea. 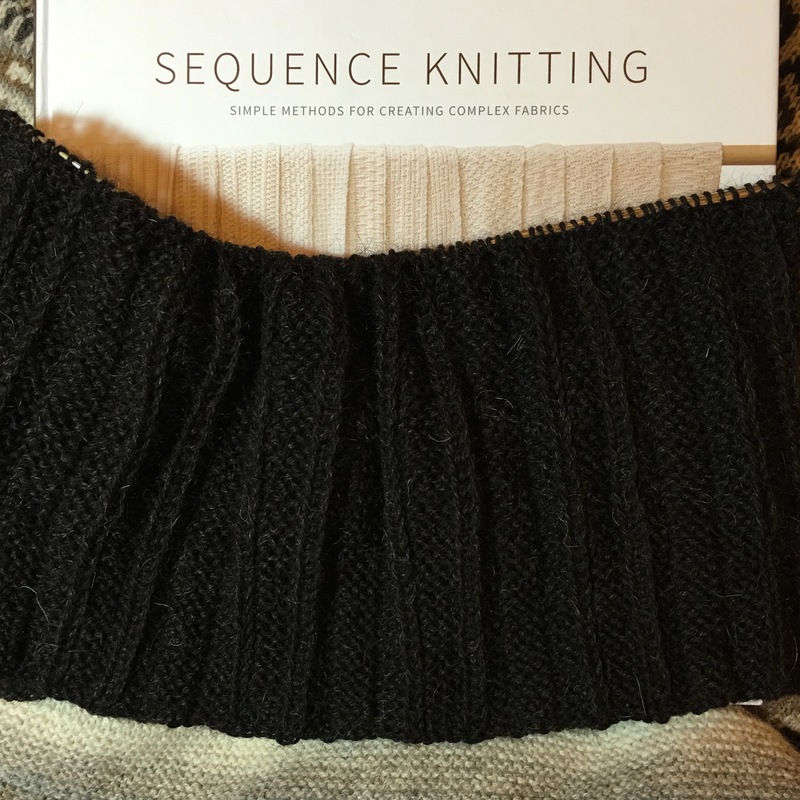 But every time I opened Sequence Knitting, the idea developed a bit further in my head. So by the time you asked me to contribute to your own book, I had an almost fully formed design in my head. It was then a question of finding the right stitch pattern for the lace edging, and working out some of the reversibility challenges. Swatching soon confirmed that my ideas would work, and the only real surprise for me was the swirl that gets formed in the centre of the shawl. I had expected to have straight lines separating the triangles. The only thing I wasn’t sure about was the lace edging, which I wanted to be in a different colour from the centre. I tried out a few things before settling on the intarsia technique and knit the whole thing in one go. Again, the driver here was reversibility. Picking up stitches along the edge of the centre, or knitting on an edge, wasn’t quite so reversible in a DK weight yarn. Kate: Your pattern includes options to knit full, half or 2/3 hexa haps, because of the design’s modular construction. Can you explain a little more about this? Kate: your reversible intarsia twist is a technique that you’ve “unvented” for this design. Can you describe what it involves and why its useful for this design? Tom: With intarsia you twist the two colours around each other at the “seam” and with regular intarsia this shows on the wrong side of the work. As I was hell-bent on keeping the Hexa Hap completely reversible, I played around with the intarsia technique until I came up with something that would make it look the same on both sides. 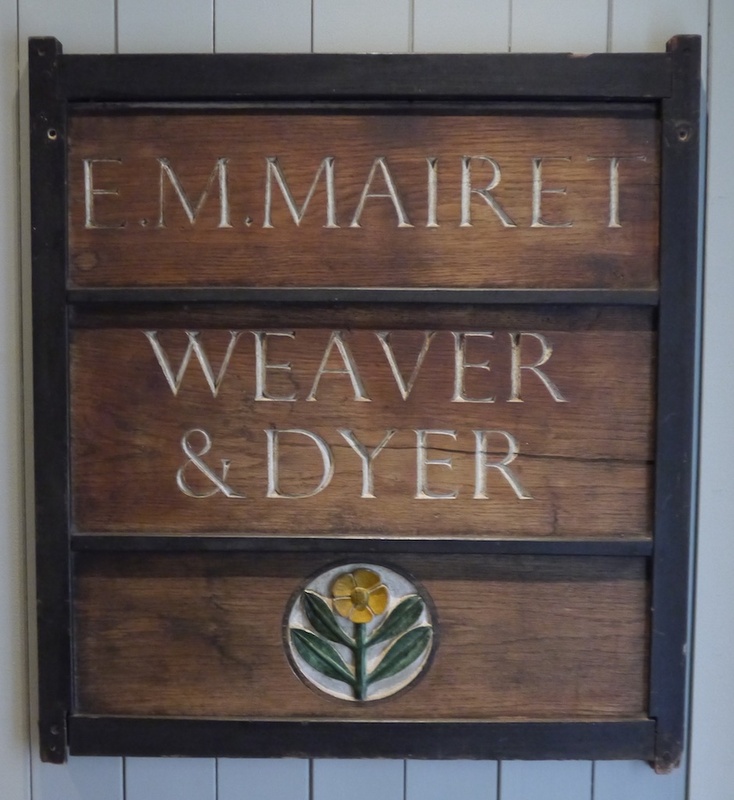 It’s a very simple variation, where you cross the old colour underneath the new colour, and then bring the old colour between the needles to the front of the work. The yarns now twist around each other inside the fabric, so to speak, rather than at the back. Kate: I think there is something fundamentally pleasing about hexagonal shapes, and I love naturally occurring hexagon patterns from bees honeycomb to tortoise shells. Do you feel a similar hexagonal affinity? 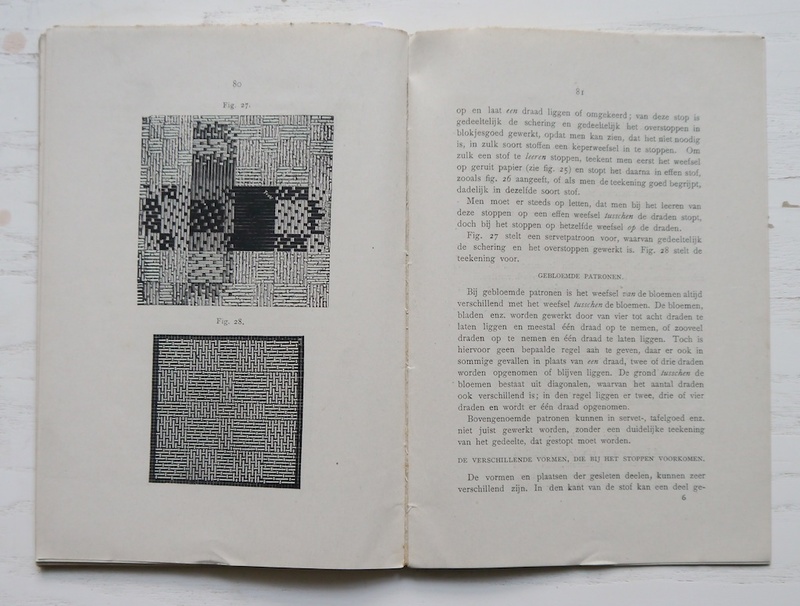 And do you enjoy exploring the structure of other geometric shapes in your knitting and other work? Tom: Hexagonal affinity; what a great term! I don’t think I have a particular affinity with hexagonal shapes, but I do like geometry and repetitions in general. In particular I like it when repetitions go slightly askew. So to have the swirl appear in the shawl is, to me, a beautiful coincidence. In addition, I’m interested in texture, another reason why I find Campochiaro’s book so stimulating. Kate: I really enjoyed styling and modelling your hexa hap, and found it very wearable, in much the same manner as a Shetland hap. Like a Shetland hap, I also think it would make a wonderful blanket for a baby. I also found myself wearing one of the mini-hexa haps you made as a kerchief to keep my neck warm when I was helping Tom out on our Shetland photoshoots. It’s such a versatile design! I love the sample so much I don’t really want to send it back, but I wondered how you intended to wear or use it when I did? Tom: Thank you very much, I’m so pleased to hear you like it so much! 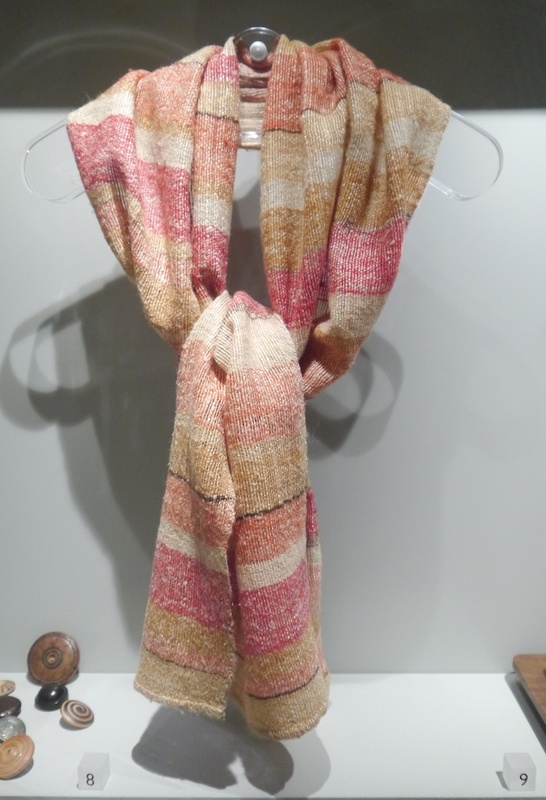 As I don’t wear shawls myself, it was a bit of a leap of faith to design one. I could see myself wearing a mini half Hexa Hap as a kerchief (thanks for the idea), but the full-sized one I would use as a blanket. There’s nothing more I enjoy of a winter’s evening than to cuddle up under a warm woolly blanket. Kate: yes, I think it would make a wonderful baby blanket or lap blanket – and I was very hap-py to be happed up in it! These photographs were taken at Da Brigs near Vementry in Shetland – a very special place. Thankyou so much, Tom, for creating your fabulously innovative Hexa Hap! The Book of Haps is now available to pre-order. You can see all of the designs as they appear each day on Ravelry and be sure to pop over to Jen’s blog tomorrow when the next hap will be revealed! 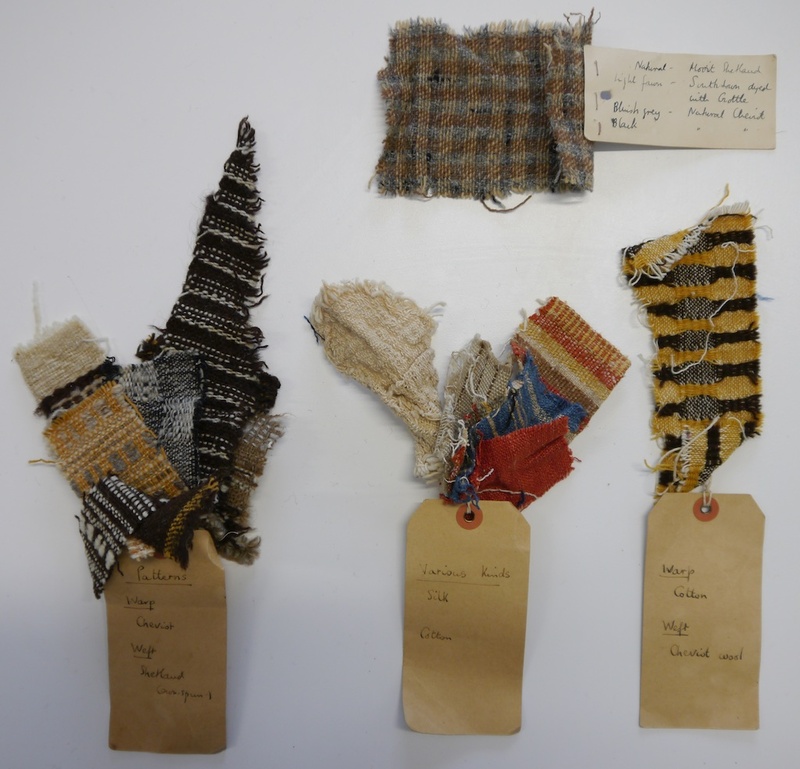 Recently, I was invited to deliver the keynote speech at Cultures of Repair: Past and Present, a one-day conference to conclude A Remedy for Rents, an exhibition of darning samplers from the Whitelands College Collection. 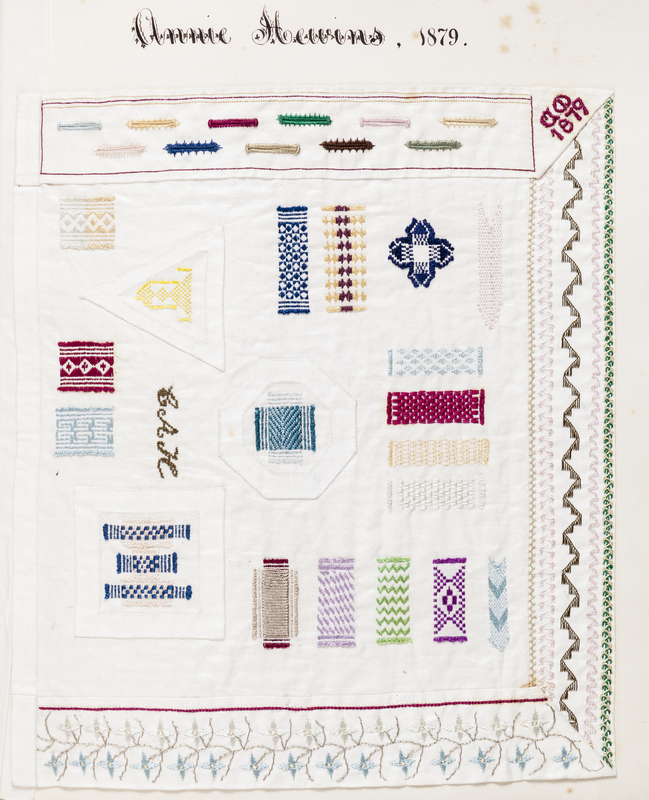 Curated by Vivienne Richmond, head of Goldsmiths History Department, A Remedy for Rents showcased a rare collection of exceptionally fine needlework by working-class women in the last quarter of the 19th century. 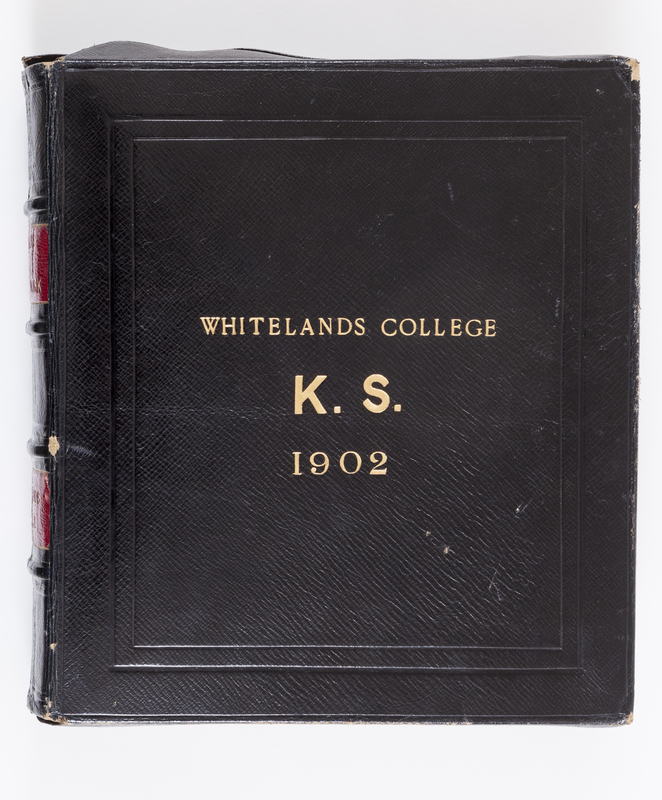 As students at Whitelands College, the first all-female teacher training college, now part of the University of Roehampton, the women were training to teach in elementary schools for working-class children and their needlework focused on the production and repair of simple garments and household textiles. 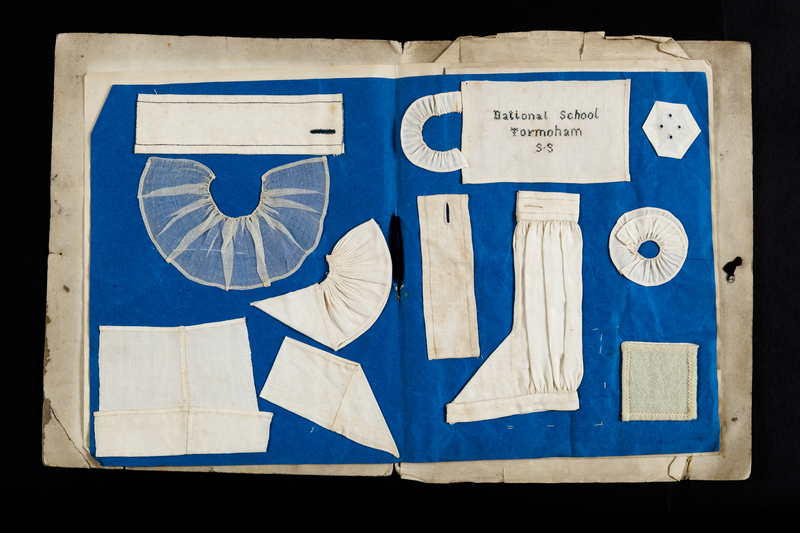 Remedy for Rents offered a rare opportunity to see needlework by non-elite Victorian women, but illuminates also the history of working-class dress, female education and gendered roles, experiences and expectations in 19th-century Britain and beyond. If you missed this exhibition, then you will have a second chance to catch it again, see details at the end of this post. Photography credit: all the images I’m showing here were taken by David Ramkalawon, and all items belong to the Whitelands College Collection, University of Roehampton, and are used with kind permission. The items on display are of an an amazingly high quality, and provide me with a lot of inspiration, and something to aspire to. 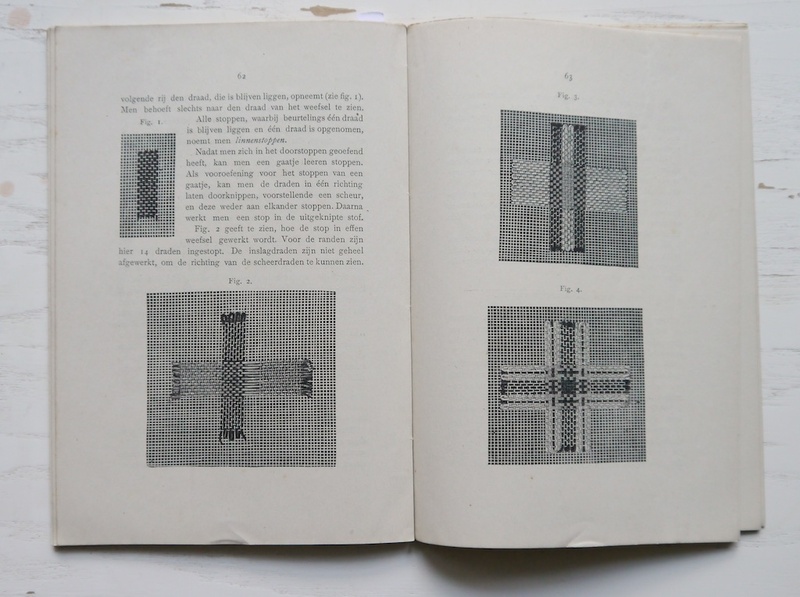 The book shown above holds page after page of darning samplers and plain sewing samplers, each and every one of them showing the very best needlework. 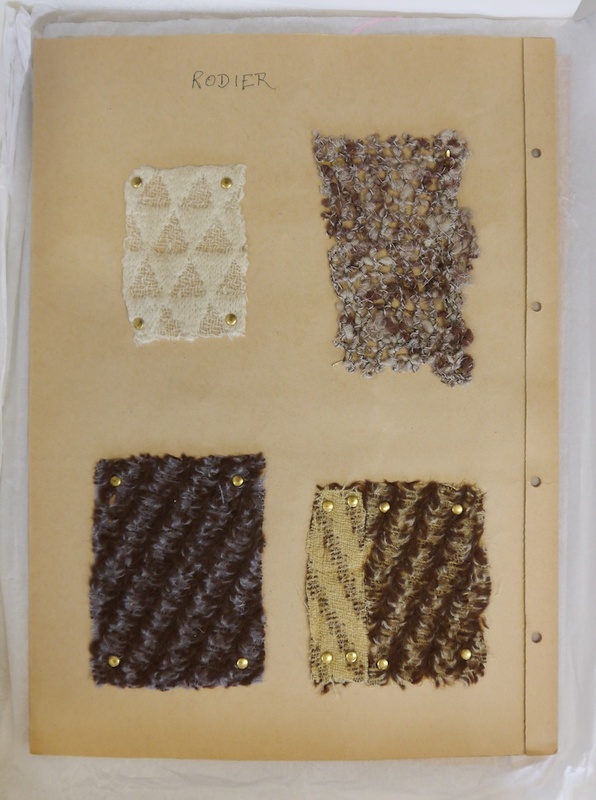 Whereas most of the darning and embroidery samplers I’ve seen from the late 19th century are no longer of the finest quality displayed in work from earlier centuries, the work displayed by the teachers in training at Whitelands College is an exception, and it’s almost inconceivable that they were all made by hand. I’m particularly fond of the many fancy handworked buttonholes; I’ll be giving them a go when the opportunity arises. I’ll share more images from the needlework on display throughout this post, but I’d also like to share with you the one-day conference. Vivienne Richmond talked about past cultures of repair. Needlework was a respectable way for a woman to earn some money, both teaching it, or providing needlework as a service to other households. 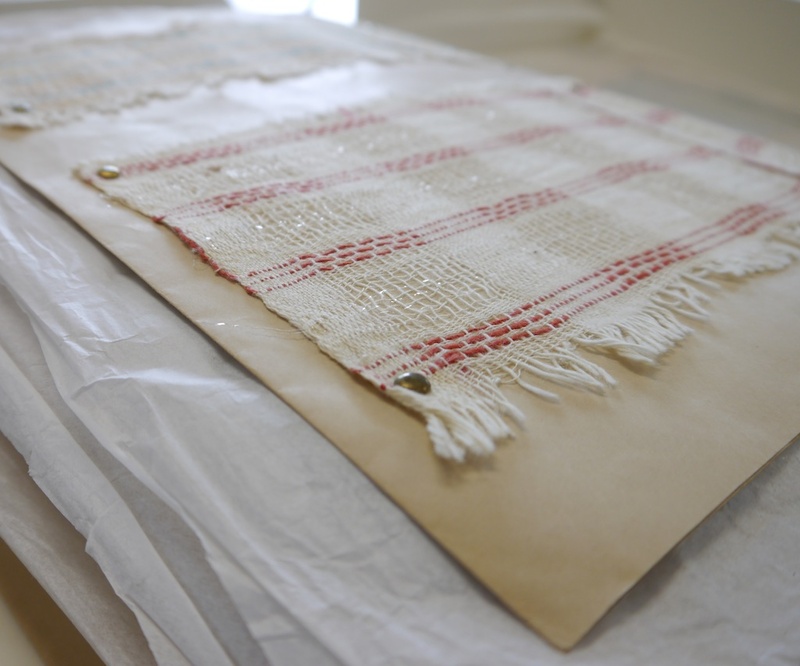 Obviously, learning needlework is a very hands-on approach, and the Whitelands College Collection is a prime example of the students’ work. 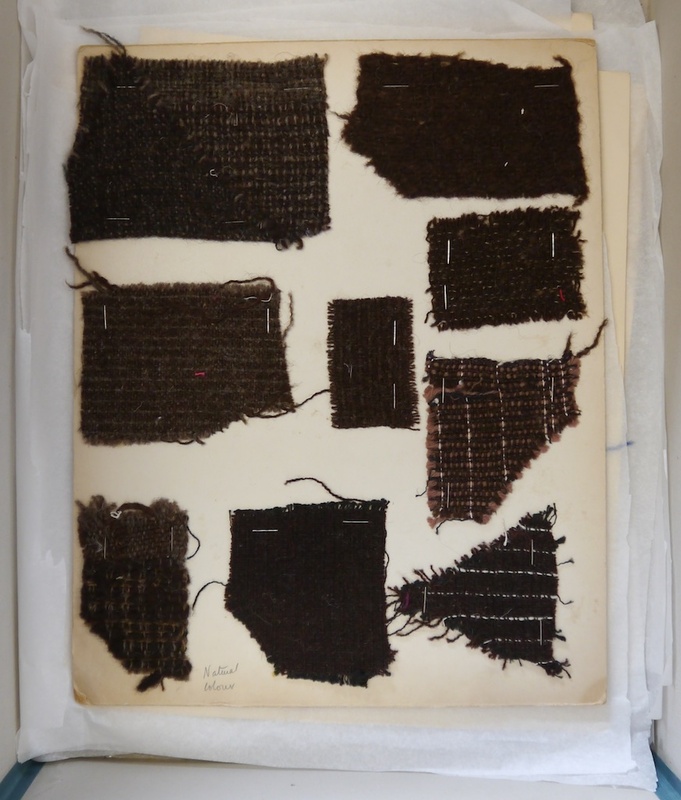 If you want to know a bit more about this, then I can recommend the blog posts I wrote about darning samplers from the Fries Museum (parts 1, 2, and 3). She also touched on the Make Do and Mend campaign of World War 2, and all those middle-class women who, with the very best intentions, wanted to teach working class women on how to mend their clothes and to be careful with resources. Needless to say their reception was rather mixed, as for working class women making do and mending was already part and parcel of their lives. Lizzie Cannon has a background in geography and as a result her artwork reflects her keen sense of space and place. She gathers discarded items which get augmented by adding other elements, often using embroidery techniques. Her ongoing project Mended Leaves investigates how mending reflects, and sometimes accelerates, decay of delicate structures. The threads used to mend the holes in the leaves are carefully matched with the leaf is still fresh, but later contrasts with the changed colour once the leaf has dried. 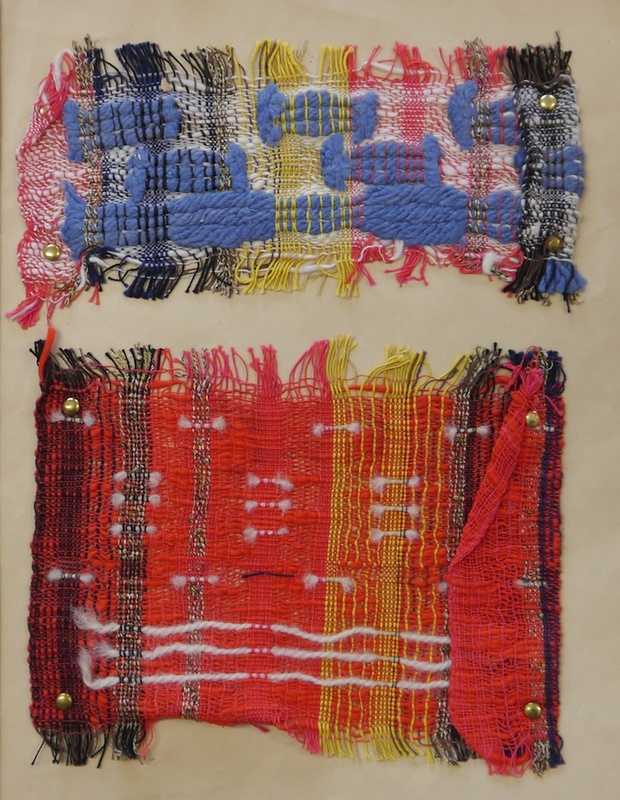 Katherine May works as a designer, researcher and facilitator tracing the threads that weave together textiles and society. Through research and making she explores the origins of materials and the story of techniques. 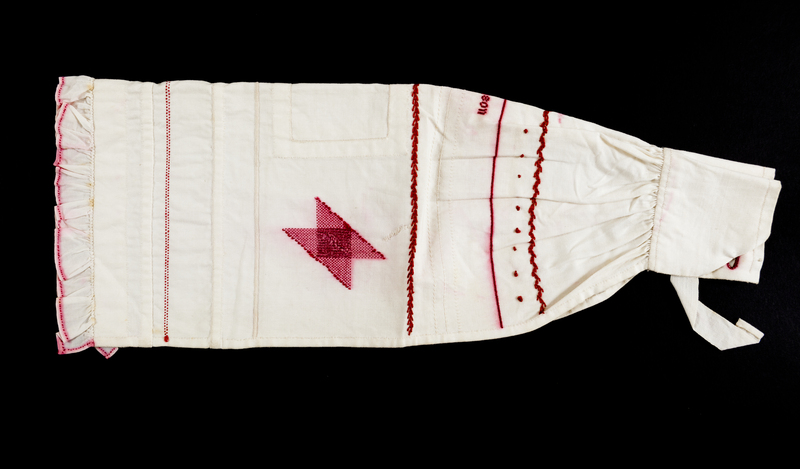 Her projects often reflect specific social contexts and emphasise participation through the dressing or inhabiting of these spaces, that she uses as a platform to engage people in an imaginative and sensory relationship with cloth. This was seen in Water – Colour a site specific installation where a ritual of practice evolved through indigo dyeing on site over 2 months. 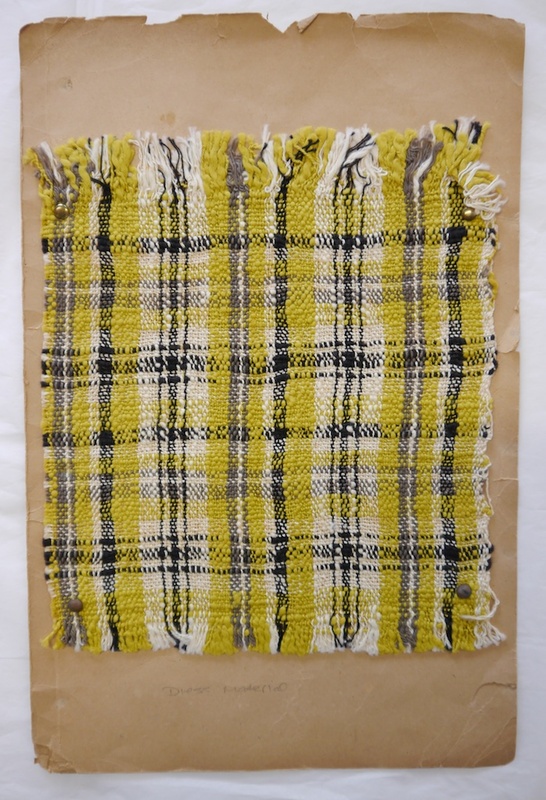 With her work she aims to expose the relational aspects of textiles and subvert prevailing processes of value production. 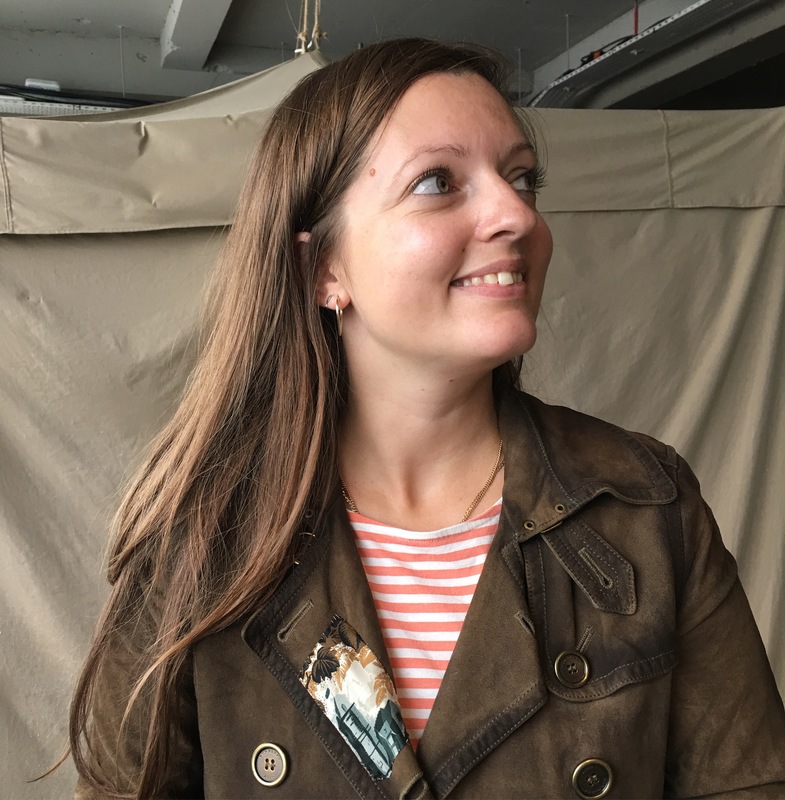 Ruby Hoette works independently as a designer/curator/researcher exploring fashion in context through the intersection of theory and practice. Her projects reveal patterns of use and often investigate the construction of value and meaning in fashion. The WORN_RELICS project was launched in 2008. 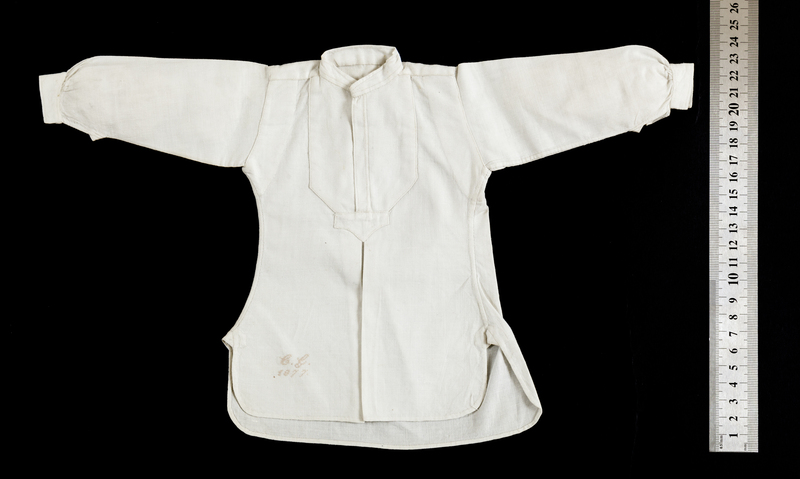 It is an interactive online archive in which the stories and memories attached to garments can be collected and shared. The project explores the idea that clothing acquires value over time through being worn. It is a platform for the communication of the creativity and innovation that can be found in the diverse ways we interact with clothing in everyday life. Many items were made on a miniature scale. They’re easily confused with dolls clothes, but their main purpose was to learn all the different sewing techniques and construction of all manner of garments. 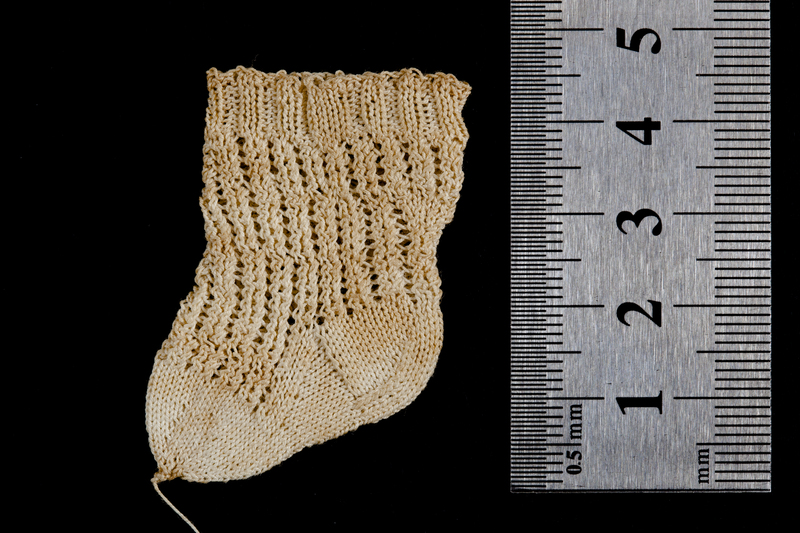 This lace sock measures no more than 4.5cm (less than 2in) in height. I guesstimate it has about 60 stitches in the round. Those of you who have been following my blog, may have noticed that many of the other artists and makers’ themes and interests are reflected in my own practice, so my keynote speech tied it all nicely together. I spoke about my love of old sewing and needlework books; my issues with using the phrase ‘make do and mend’ in the 21st century, when many people make the choice between replacing or repairing; aspects of Japanese crafts such as boro and sashiko, but at the same time trying to bring things back to local culture; learning from studying samplers (see links to Fries Museum above); and my bottomless mending basket at home. I also discussed my shift in focus, or end point, of a garment. If I aim to wear clothes for a long time, than I will have to acknowledge that they will need some repairs at some point. With that in mind, when I make my own clothes, a garment isn’t really finished when I cast off that last stitch, or sew in some ends. I know there is more work to be done down the line. So those finishing touches are not final, but merely one of the stops on the journey of the garment’s life. To me, making and repairing are no longer discrete activities, they belong together, and the boundaries between the two are blurred: repairing is making. 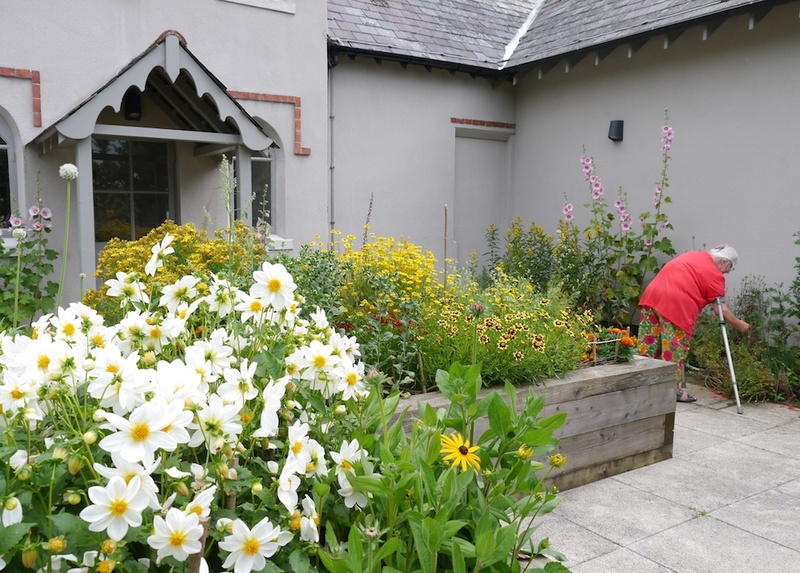 If you want to catch Remedy for Rents at Roehampton, then please know that they don’t have a webpage for the exhibition yet, but in the meantime people are welcome to contact Gilly King: Gilly.King@roehampton.ac.uk for further information. The exhibition is opening there on 14 May, 2016 and running to July (actual closing date tbc).